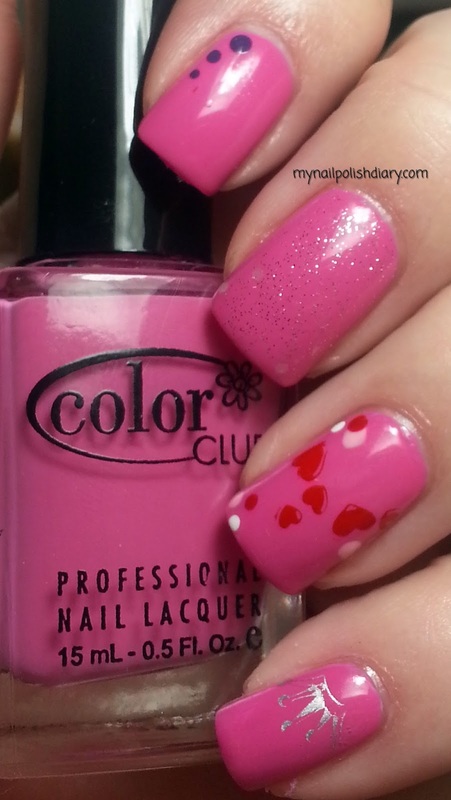 My Valentine's Day mani was so fun. I can't believe I forgot to post it. In my defense we were just gearing up to do a huge renovation to our home. Color Club In Bloom for the main color on all nails. Thumb: Konad Red stamping polish for the stamped hearts (Luckily the smear wasn't as noticeable as it is in the picture). Index: China Glaze Spontaneous for the dots. 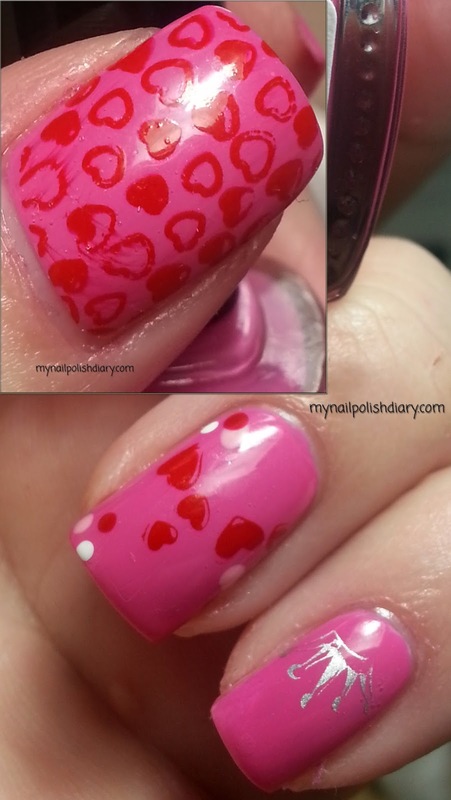 Ring: Konad Red stamping polish for the stamped hearts, Color Club in Bloom and Zoya Purity for the dots. I really loved this mani and wore it all weekend. I got several compliments too. Stamping is fun I should do it more often!